A LEGACY IS BUILT. NEVER GIVEN. You asked for a tractor that could do it all. You got it. Massey Ferguson® Global Series tractors are here and they're redesigned by industry experts based on input from farmers like you. Rear lifting capacity of 7,710 lbs. Rear lifting capacity of 9,390 lbs. 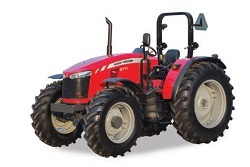 VISIT HOLT AG SOLUTIONS TODAY TO GET BEHIND THE WHEEL OF A MASSEY FERGUSON GLOBAL SERIES TRACTOR. ©2019 AGCO Corporation. 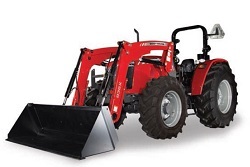 Massey Ferguson is a worldwide brand of AGCO Corporation. 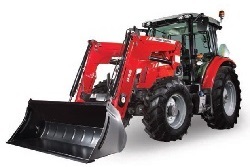 AGCO and Massey Ferguson are trademarks of AGCO. All rights reserved. * Rates as low as 0% for 72 months in the U.S. Offer valid on select models and subject to credit review and approval through AGCO Financing LLC. Contact Holt Ag Solutions for more details. Offer is subject to change without notice. Offer valid April 1-June 30, 2019.